We buy in bulk- this helps us offer not only very competitive prices- but also gives us access to a far more "choice" selection at the cutters. 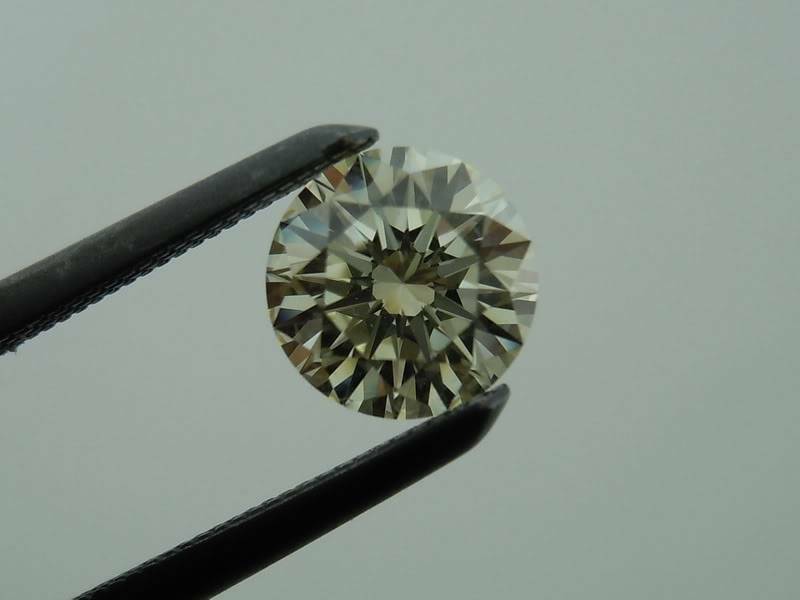 I have always loved the soft, subtle color of "top silver" diamonds. 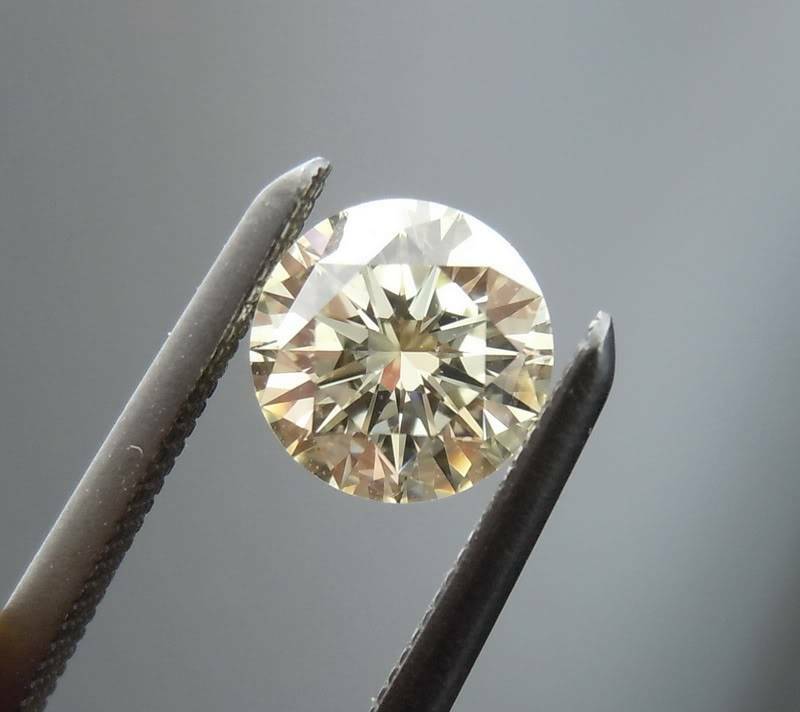 The term "Top Silver" refers to diamonds ranging from I, all the way down to M-N. 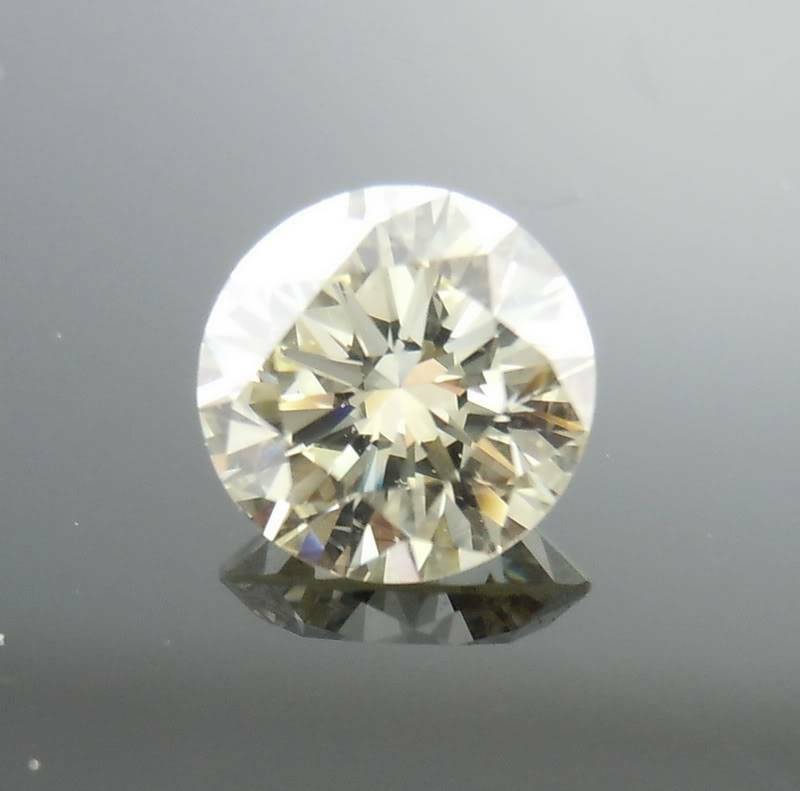 This is a beautiful round brilliant diamond. The cut on this stone is fantastic. GIA rated the symmetry to be "excellent". The stone is full of sparkle. 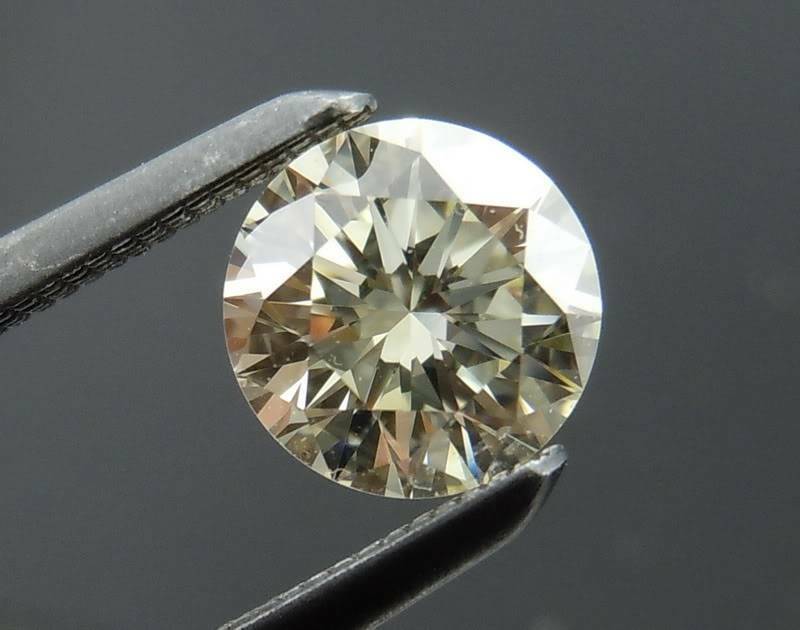 The diamond has a lovely warmth to it in terms of color. It would probably be considered more of an ivory shade. 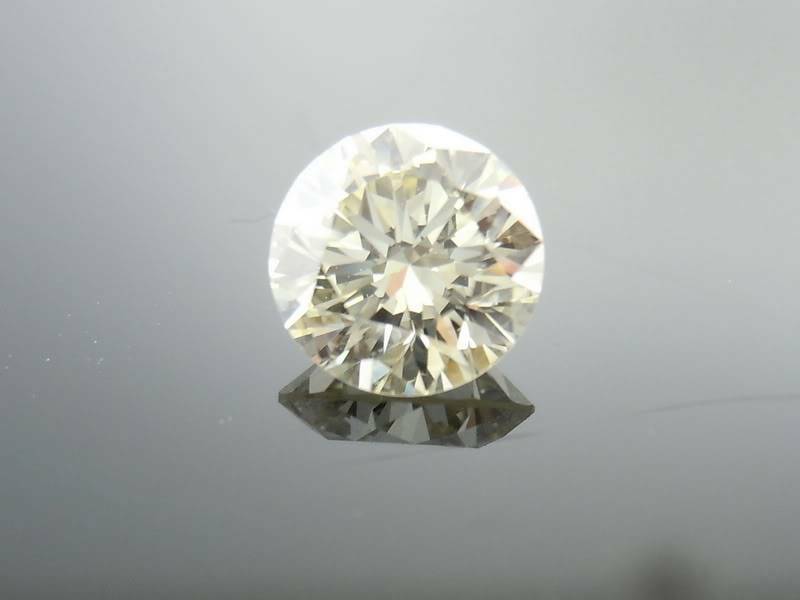 If you like warmth to your diamonds, you will love this stone. The stone does have strong blue fluorescence. This gives it a "chameleon" like personality.